The Florida Department of Transportation isn’t just anti-bicycling and walking road safety programs in Florida, they are against funding them anywhere. On March 14, just days after bicycling advocates went to Congress asking them to not cut funding for bicycling programs (Bike Coalition Director and members among over 20 others from Florida, 600 countrywide) the State of Florida sent its own representative to tell Congress to do just the opposite. Mr. Ananth Prasad is one of the three candidates up for Governor Rick Scott’s consideration as the new State Secretary for the Florida Department of Transportation. He currently holds the title of Assistant Secretary for Engineering & Operations, making him the only ‘in-house’ option. (The other two are Gordon Goodin, owner of Bayside Development, and Thomas Conrecode, VP at Collier Enterprise). Mr. Prasad spoke on behalf of FDOT/ Governor Scott’s interests at a special hearing before the United States House Committee on Transportation and Infrastructure. The Committee, chaired by Florida’s own Rep. John Mica, is drafting a new transportation bill and thus seeking input from stakeholders across the country. What did our own FDOT representative say? Read the full text of his speech here[PDF]. Some of the items Prasad touched on were clearly positive for Florida, such as his request for more transportation money for Florida, a ‘donor’ state that sends out more gas tax money than it gets back from the federal government. He called for increased investment in public-private partnerships , citing the I-595 Express project and the Port of Miami Tunnel as examples. While that may support Rick Scott’s call for more private sector jobs, there was no mention of the innovative public-private partnerships that would have come about from High Speed Rail or bikeshare. Florida: we cannot build our way out of congestion. We need a versatile transportation system that embraces intercity rail, urban transit, bicycling, and walking as well as the currently privileged modes. If we can put aside the political agendas and focus on effective investment, we would see that non-highway options, like high speed rail and bikeshare, provide what Prasad says DOTs want: public-private partnerships. The Tampa-Orlando high speed rail was expected to turn a $10.2 million profit, a lucrative opportunity for private investment in infrastructure. DecoBike, a private enterprise which seems to have gotten off to a good start, has not cost the city of Miami Beach a dime and is even sharing revenue with them. B-Cycle‘s proposed system for Broward County won’t cost taxpayers any money once it’s up and running, and their business model depends on turning a profit from the system as well. FDOT is already involved in this public-private partnership, fronting the capital through a grant to the county, then leaving the private vendor to run the system. Florida can support systems such as these by providing both capital investment to get the systems started and by providing proper infrastructure to encourage more system users. Check out the Sun-Sentinel article for more details on both programs. Your Members of Congress, Governor Scott, FDOT need to hear from you that you want cost-effective solutions to Florida’s #1 ranking as the Country’s most dangerous place to walk or ride a bicycle. Also: Please take a moment to contact Rep. Mica — his staff on transportation — or his office via phone at (202) 225-4035. Let him know that you want Complete Streets in the next transportation bill and that you support federal mandates that ensure investments in our roads will make them safer and better for EVERYone, whether they travel by bicycle, train, bus, car, truck or on foot. Brickell Avenue Campaign Update: We’re in The Herald! The Miami Herald today published a joint letter from the Bike Coalition board member, director and member leading our campaign to reduce the speed limit on Brickell Avenue. We’re happy that The Herald continues to cover this important campaign – which has united politicians, neighborhood organizations, business owners, residents, pedestrians, cyclists and motorists – to make our city’s densest, busiest business/residential street safe for everyone. FDOT controls Brickell Avenue. This historic street was considered a ‘highway’ before I-95 was built and before tens of thousands of people and families moved in, before it became the epicenter of banking in the Americas and before it was the anchor for Downtown Miami’s booming nightlife. We love Brickell Avenue but it’s not a highway or even a thoroughfare anymore- Brickell is a destination. When FDOT steps up and takes responsibility for Brickell residents and visitors’ safety – it will be mean even more people walking and bicycling there, spending money there and being proud to live and work there. It will be positive not just for Downtown residents and those of us who do business there, but for Greater Miami on the whole. And a 5mph speed reduction in one section is simply not enough. Brickell deserves the speed limit, crosswalks and general treatment of its counterparts in San Francisco, Chicago or London. Our thanks to The Miami Herald for continuing to cover this issue. We also thank City of Miami Mayor Regalado, City Commissioner Sarnoff, County Commissioner Gimenez and State Representative Garcia for continuing their pressure on an FDOT that is responsible to no one. Tuesday’s Miami Herald “Reader’s Forum” featured a letter to the editor that was given the special treatment of a bold heading, Cycling safety, and a picture, ‘Bike lanes have been added to Coral Way in Miami.’ In this letter, a Miami resident rightly comments that more people will be riding bicycling on the weekends now that our cool weather has arrived, some of whom will put themselves at risk by running traffic lights. All true. However, I think that the real key to ‘Cycling safety’ is that everyone who uses the roads in South Florida understands that more people are bicycling (and driving and walking here) everyday and that we all will be safer if everyone learns the law and follows the rules. With the increase in bicycle facilities and a growing trend toward healthy, environmentally-sensitive transportation, we will see an increase in the number of people bicycling everyday. 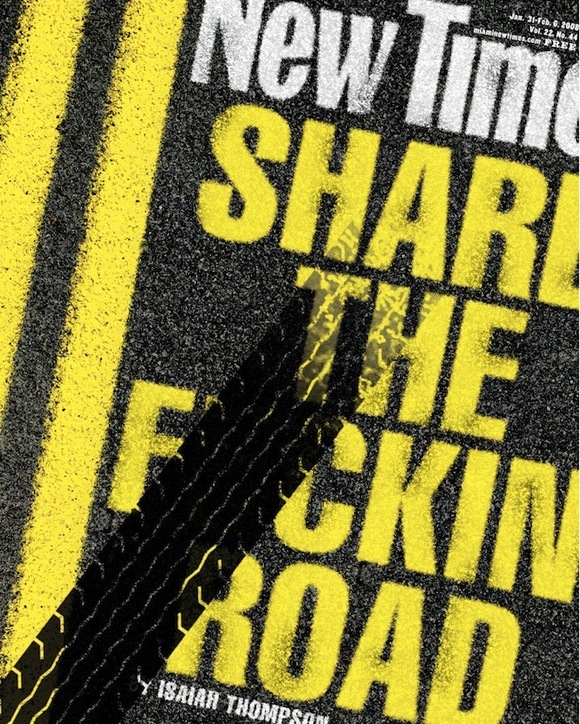 It is important to remind people who drive and ride that Florida traffic laws require sharing the road and sometimes, though less often, sharing traffic lanes. People in cars are required to pass those on bicycles with a minimum of 3 feet. Cyclists are expected to drive within the middle of traffic lanes under 14 feet wide and motorists are expected to change lanes to pass. Everyone is required to moderate speed behind slower moving traffic, to come to a complete stop at red lights – even in a right turn lane, and to remember that a horn’s purpose is not to warn others because you are about to break one of the above laws. Safe, predictable and attentive driving saves lives (including mine) everyday. While we have sent letters to the editor in the past without success, I hope that those of you reading this will be motivated to respond whenever your local media outlet publishes a piece that is biased, incorrect or simply doesn’t tell the whole story. It is important that you respond directly, as soon as possible and that you follow whatever requested guidelines of the publisher. If we can be of help, let us know. If it is not published, why not share it here so that others might be use excerpts in writing to their own newspapers, magazines and local news stations? The South Florida Bike Coalition is working hard to get more coverage of bicycling – as a form of transportation, a great sport and a growing activitiy – in the news. If you have found a great piece somewhere, please let us know so that we can thank the news outlet, too. We are dedicated to working with you and the media, everyday, to improve and increase bicycling from Miami-Dade to Port St. Lucie. The South Florida Bike Coalition is featured in the cover article of this month’s Biscayne Times: Two Wheels Are Better Than Four. The piece profiles four leisure bike rides along the City of Miami’s Biscayne corridor, including one along one portion of the City’s ‘RiverWalk’ where I rode with SFBC friend (the writer, Dina Weinstein) through Downtown Miami’s Bayfront Park, scenic and surprising Brickell Key, Mary Brickell Village for a little shopping and on to Alice Wainwright Park (picnic-perfect). It was a pleasurably successful challenge getting Dina to ride off the sidewalk and through busy traffic so I wish that storyline had made it into the piece. That said, I think it is always worth celebrating when our local newspapers demonstrate a willingness to cover bicycling – for fun, for transportation, for getting to know our cities and neighborhoods better. You can pick up your free copy at various places around town or click here to read the article online. Also, if you’ve got a great ride you think should be profiled in your neighborhood, let us know. Dina tells us she would be interested in riding and writing similar pieces for other publications, too. SFBC, Bicycling & Social Equity: In the News! As you read here first, the Miami New Times has been investigating the safety of bicycling in South Florida. There is a lot we can say about what crash statistics can (and cannot) tell us about road safety in Miami-Dade/South Florida/Florida. What continues to be a priority for us at SFBC is the reality that investments in bicycle infrastructure and advocacy, limited as they are, remain almost exclusively for the benefit of our community’s wealthiest residents and neighborhoods. While the South Florida Bike Coalition is directed first and foremost by our members, our leadership understands that if we are to truly improve bicycling in South Florida, we need to support everyone who rides – whether by choice or otherwise. You can read Erik Maza’s piece here. I encourage you to leave a comment. Let’s show the editors of the Miami New Times that we care as much about our fellow bicyclists as we do about ensuring Bertonatti gets an appropriate sentence. Erik has promised to let me take him for a ride through our city that showcases the best and worst of existing bicycle infrastructure. You’ll read a full report about it here and, hopefully, in The Miami New Times. The Miami New Times is looking into some anecdotal reports of increased fatal bicycle collisions this year and they want to know what you think. Ask any cyclist around town – more and more people are bicycling in South Florida. What does that mean for our safety? Do you feel safer riding – or less? There have been a number of high-profile (or, at least, more heavily reported) bicycle crashes in 2010. Reporter Erik Maza called me today and asked what that means for us bicycling advocates. I’ll admit, I don’t think there have been more fatalities than usual. The MPOs and Highway Administrations haven’t released crash data from 2009 yet, so it’s hard to say, but I just think that we are hearing more about accidents because we are seen as a stronger constituency than ever before. Every day, there are serious crashes on South Florida’s roadways, some of which will inevitably include people on bicycles. Some are our faults, some are the faults of motorists or pedestrians or, arguably, inept traffic engineers. It does make sense that since more and more people are bicycling, more and more traffic collisions will include us. So, what’s the story? What do you think? Erik Maza wants to hear from you (and we do, too). Email him at Erik.Maza@miaminewtimes.com and cc: SFBikeCoalition@yahoo.com – if you were writing a story about bicycling in South Florida and traffic accidents, what would you say? Also, if you have pictures to share, please let us know, too. 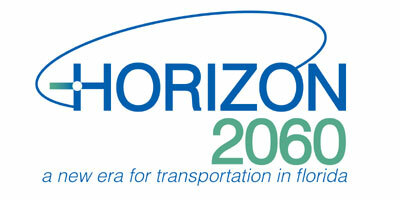 The Florida Department of Transportation held a public workshop today to collect public input for their 50-year plan, “Horizon 2060: a new era for transportation in florida.” I try to attend every meeting like this that I can, always wearing my bicycle pin, to ensure that bicycling is considered by those directing policy. What impressed me today was the number of fellow friends of the bicycle- men and women, younger and older – all speaking up for livability and increased implementation of bicycling and walking facilities. As we’ve said before, this is truly our time. For those of you who did not attend the meeting, there are still many opportunities to share your input with the program manager, Huiwei Shen, and steering committee (the “30 statewide partners representing all the modes” responsible for drafting the final plan for public review). I asked Kathleen Neill, Director of the Office of Policy Planning at FDOT, if that statement meant that bicyclists were represented. She said that we were represented through local representatives, but not as a single group so as not to give priority to one group over another. She went on to explain, by way of example, that Publix is not on the steering committee but they were represented through unions of freight truck drivers… it was a little unclear to me so she graciously guided me to the Steering Committee Advisory Group on Community Livability, Environmental Stewardship and Mobility. You can be sure that I will be following up with them tomorrow. What transportation strategies would help Florida’s economy be globally competitive over the next 50 years? What transportation strategies would help Florida’s communities be better places to live, work and play? What forms of transportation do we need more of in the future? Does Florida need new or different types of transportation for moving people and freight and what would these be? How do we maximize the use of existing transportation facilities such as roadways and rail lines before developing new ones? What can we do to improve transportation safety in Florida? How do we address our future transportation needs, while at the same time ensuring the environment in protected and preserved? How can regional transportation planning and coordination be improved in this area of the state? Is more funding need to meet Florida’s transportation needs? If so, what source(s) of revenue should be considered? A lot to consider – so we were separated into 3 groups to discuss and process and record ideas. Some of the interesting ones that came up included eliminating right turn on red, taxing suburban residents, increasing wayfinding signage at transit stations so people felt more comfortable coming and going from them on foot, effecting stronger requirements for the implementation of bike/ped infrastructure. The people in attendance represented a pretty interesting mix of planners, engineers, activists, public health advocates, bicyclists, transit users and students, too. Not so good news: People tended to comment on things outside of FDOT’s jurisdiction or to simply lament the agency’s many… issues, which took away from the time available to discuss real opportunities to insert effective ideas into the plan. Good news: People were overwhelmingly pro-transit, pro-livability, pro-active transportation. We are not alone! The challenge now is to keep the pressure and continue to send in comments that address the questions above in a pro-bicycling way. You can do a lot by simply posting a few ideas here. Don’t think that your comments won’t be indexed and added to a list of support for whatever you have in mind. It can take just a minute or so and have a lasting impact. A weekend group ride in Jacksonville, Florida ended with three men in the hospital after a motorist got out of his truck and stabbed two cyclists finishing up their regular route. The aggravated assault has sent shock waves through the American bicycling community, inciting fear, anger, exasperation and calls for a strong, unified response to the special kind of road rage that cyclists face. Since it occurred on a college campus, it has been covered by national media, as well. Our friends at zMotion have already reached out to media in Jacksonville with information about their Right Ride/ Drive Right campaign. Clearly, there is a need for motorist/cyclist civility. Because of the literal assault that took place, this incident does not call for specific cyclist-safety laws, or does it? If it was against the law to hit a cyclist even if it were the cyclist’s fault, as in Scotland, would the driver have just driven off? What was the man doing with a knife in hand, anyway? Where does all of this road rage come from? As advocates for better, safer bicycling, it is our responsibility to talk about what happened. I urge you to share the Right Right/Drive Right PSA with your friends on Facebook and Twitter, through email and just in everyday conversation. One of the many reasons that the State of Florida has a ‘3 feet law’ is to prevent this physical contact that leads to these sorts of events. Here at the South Florida Bike Coalition, we are considering our next steps in response. We are eager to support a ride hosted by any of the clubs or fellow organizations in our counties because we remain true to our goal of empowering bicyclists to take action and encouraging our communities to advocate together as one. Email us at SFBikeCoalition@yahoo.com – we’ll keep you updated here. As you read here before, the collaborative effort of the South Florida Bike Coalition and zMotion has lead to the installation of new signage along AIA between Boca Raton and Manalapan, Florida. zMotion released the following press release and photos, which we’re proud to share them with you. Ft. Lauderdale, FL — May 5, 2010 — Seventeen new signs dot the streets in South Florida, hoping to educate motorists and cyclists about each group’s rights on the road. It’s all part of a program called “Ride Right, Drive Right,” a collaboration between the Florida Department of Transportation, South Florida Bike Coalition and zMotion, a Zimmerman Advertising cycling team. In all, 17 new signs have been installed along A1A between Boca Raton and Manalapan, Florida. The state of Florida is especially deadly to cyclists. According to a recent story in the South Florida Sun Sentinel, Florida is the deadliest single state for cyclists in the country. In an effort to increase driver and rider awareness and safety, Team zMotion – a Zimmerman Advertising Team – created the “Ride Right, Drive Right” campaign in conjunction with the Florida Department of Transportation. 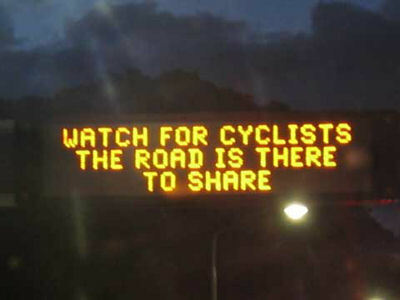 The campaign’s goal is to make the roads safer and to save lives by building awareness on the part of both motorists and cyclists. 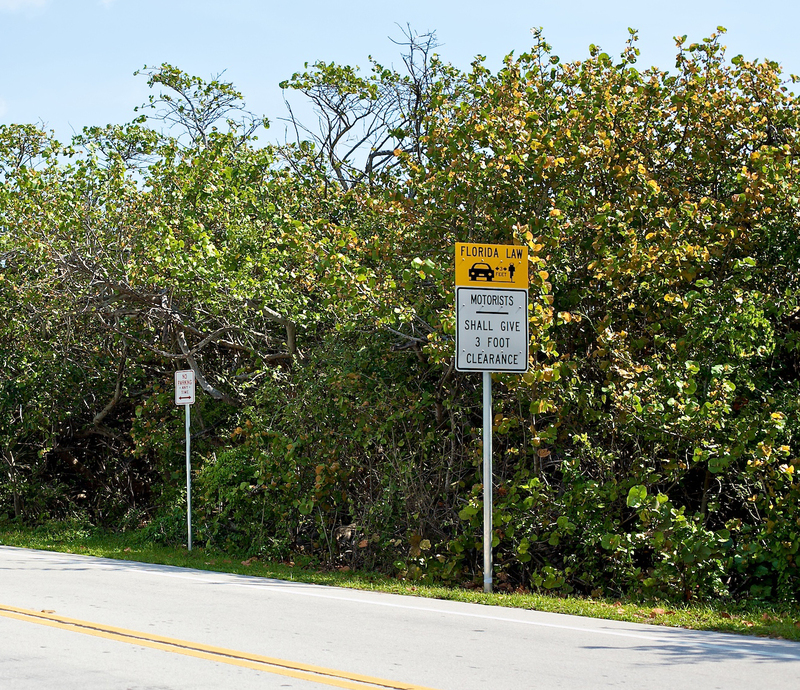 “It’s a great day to finally see these signs going up along A1A,” notes Pat Patregnani, agency President and founder of zMotion, who worked closely with local municipalities to garner support for the signs. “Team zMotion strongly believes in this effort and hopes to one day see it expanded nationwide,” he adds. The next phase of the program will focus on sign installation in Miami-Dade County. For more information on “Ride Right, Drive Right,” visit zMotion.org. zMotion is a Zimmerman Advertising Team. zMotion has become a visible force in the cycling community with over 600 riding members throughout South Florida. We ride to raise money in the fight against MS. We ride to live healthy and enjoy life. We ride because we care. And we ride because we can. We are blessed with good health and the freedom to enjoy this great sport. For more information, visit zMotion.org. Headquartered in Fort Lauderdale, Florida, Zimmerman Advertising, an Omnicom Group™ company, is the country’s leading national retail brand builder, and the 14th largest advertising agency in the United States according to Adweek, with more than 1,100 full-time associates and offices throughout the country, including New York, Los Angeles, Chicago, Dallas and Atlanta. For information on the agency, visit zadv.com. To learn more about Jordan Zimmerman, his business philosophies and opinions, visit his blogspot: http://www.yousleepwhenyoudie.com/. The South Florida Bike Coalition (SFBC) was founded in 2007 with the mission to provide resources and legal support to local grassroots bicycle/pedestrian advocacy groups who endeavor to ensure alternative, sustainable, safe and adequate transportation facilities are provided throughout South Florida. SFBC’s founders changed the face of bike/pedestrian advocacy in Florida by giving each citizen a legal voice to demand safe bike/pedestrian facilities in all roadway projects, a right previously denied by state officials. Today, SFBC continues to reinforce and shape transportation policy in South Florida by intelligently advocating for sustainable transportation facilities that include a strong bike/pedestrian element. For more information, visit http://www.southfloridabikecoalition.org. Media Contact: Leah Knepper at Zimmerman Advertising at 954.644.4041 or leahknepper@zadv.com. Have you seen these signs? Let us know. We’d love to post some members’ photos, too. The Center for Public Integrity has released a an investigative piece on the Transportation Lobby that quotes South Florida Bike Coalition Executive Director Kathryn Moore (me). Last month, I was proud to meet with Mathew Lewis, one of the Center’s journalists, to discuss the rising tide of panic that seemed to be pervading the Transportation Lobby in response to the USDOT’s new (bike/ped-friendly) policy. We met over dinner on Flagler Street in Downtown Miami – a comparatively narrow Miami street that has been the focus of many experiments in road redesign over the years. We discussed what makes South Florida roadways intimidating to people on bicycle or on foot and why I think the Road Lobby’s concerns over complete streets are misguided. You can read the article here and I encourage you to watch the video! SFBC’s part begins at 3:35.